The Saint Paul Globe, 25 November 1888. Sous le Berceau by Eva Gonzalès, 1879-1880. “Sacred music” was played on the organ and several hundred of the neighborhood children gathered in Mrs. Bosser’s parlor to sing hymns.4 Afterward, the casket was closed and a tearful funeral procession conveyed it to the backyard where it was to be interred under a pear tree. Before burial, the children laid carnations upon the casket. A headstone would later be erected in Fannie’s honor. Dog Funeral Card, The Strand Magazine, 1896. 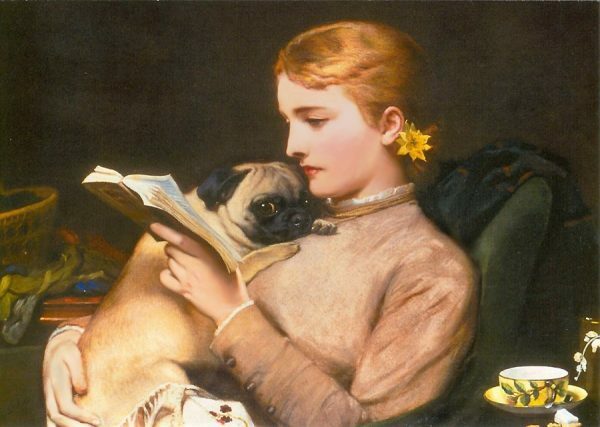 Reader and Dogs by Václav Brožik, (1851-1901). “Here Lie Two Faithful Creatures. Despite criticisms rendered by those in the late nineteenth century, pet funerals were not a temporary Victorian fad. Neither were they “the latest American fashionable craze.” 14 Pet funerals were a genuine manifestation of grief at losing much beloved dogs, cats, and other treasured animal friends. If anything, the Victorian era fascination with death and rituals of mourning merely gave bereaved pet owners free license to express the full depth of their sorrow—funeral processions, funeral cards, hymn singing, and all. 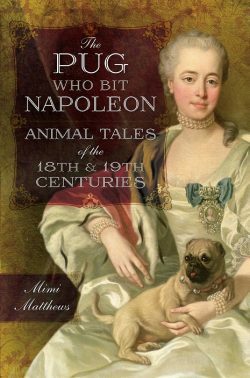 *A longer version of this article originally appeared at The Journal of Victorian Culture Online. For more information on Victorian pet funerals, see my article on Cat Funerals in the Victorian Era. The Leavenworth Times (Leavenworth, Kansas), 13 March 1900. The InterOcean (Chicago Illinois). 13 October 1901. Gloucestershire Echo (Gloucestershire, England), 14 October 1901. Hull Daily Mail (East Riding of Yorkshire, England), 15 August 1900. The Los Angeles Times, (Los Angeles, California), 10 December 1899. The Decatur Herald (Decatur, Georgia), 6 September 1901. Gloucestershire Echo (Gloucestershire, England), 22 March 1899. 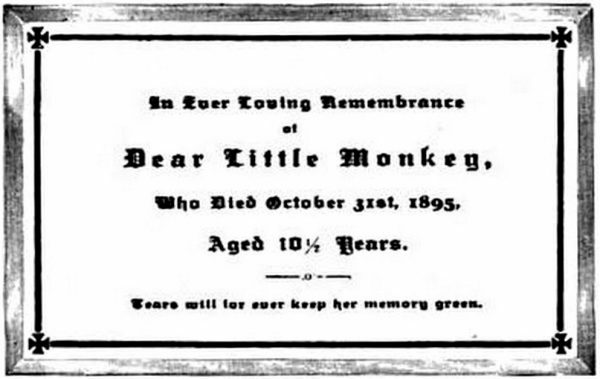 The Lima News (Lima, Ohio), 15 October 1894. Dundee Evening Post (Angus, Scotland), 29 May 1901. You’re very welcome, Lydia :) I’m glad you liked it! This was very informative. Pug’s must be something special to inspire this type of love and commitment – however – I am sure all pet owners feel this way to a certain extent. Thank you for keeping us in the know on animal topics. You’re very welcome :) I think you’re absolutely right about most pet owners feeling the same way. I know I do! I really think you have to admire people who truly think of their pets as members of the family. I’ve never been able to think of any of my animals as “just pets” who can be easily discarded when life suddenly makes them “inconvenient”. I think if you’re going to have a pet, you SHOULD love them this much! I completely agree, Wendy :) A pet is a member of the family and having one is a commitment for the entirety of their life–evening when it may seem inconvenient! “We are only sleeping, Master.” How poignant. I thought so too, Angelyn.